Sometimes simple is best. 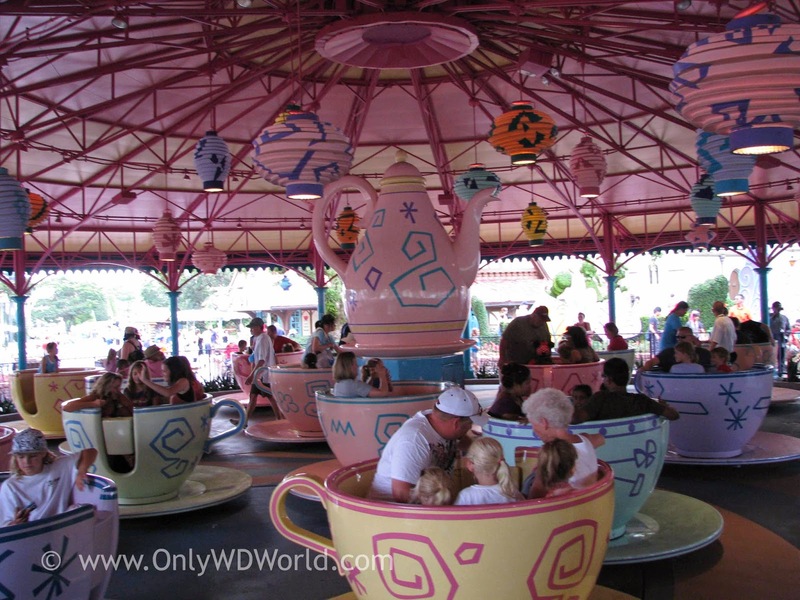 One of the most beloved attractions in all of the Disney Magic Kingdom Theme Parks all over the world is the Mad Tea Party. 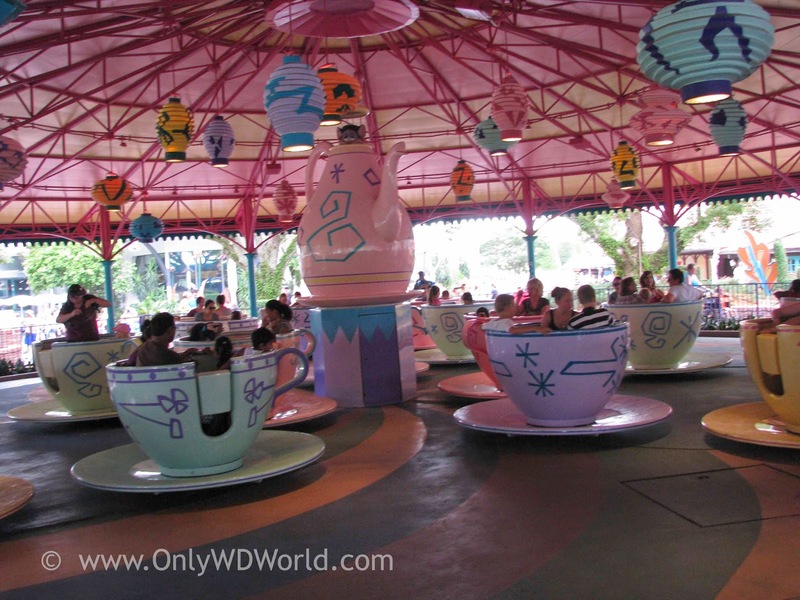 This simple spinning attraction that is themed upon the famous scene of the Mad Hatter's Tea Party in Alice In Wonderland, continues to be a favorite for children of all ages. There is a certain charm that is appealing. It calls to young children and get adults return to their youth to enjoy this fanciful ride. 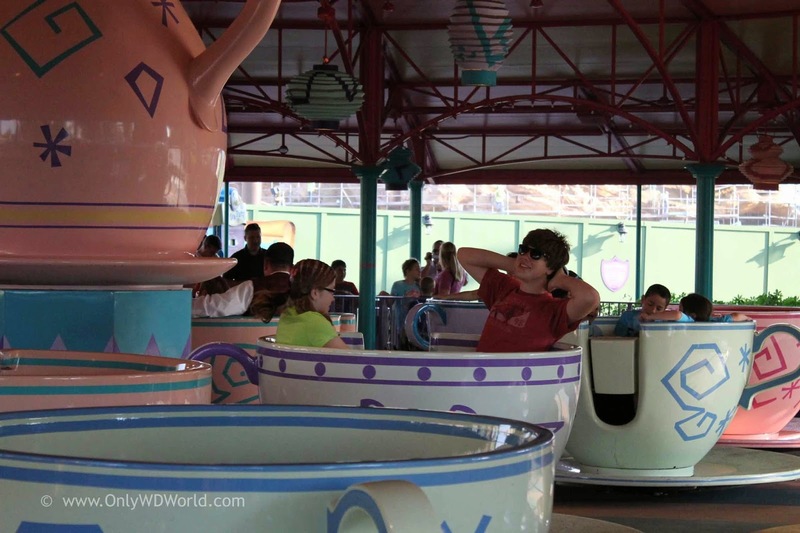 Although the spinning action rules some people out, many look forward to their next twirl in a tea cup. 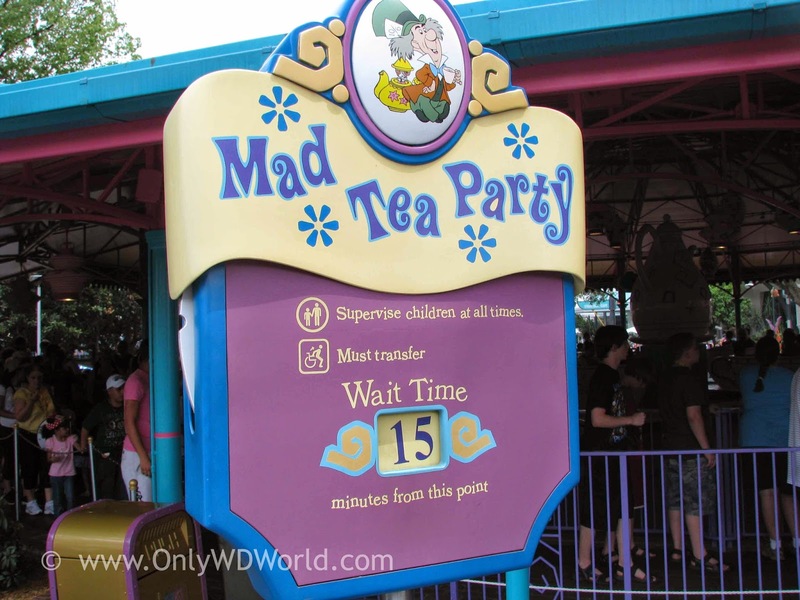 At Disney World you can find the mad Tea Party situated on the edge of Fantasyland near the Tomorrowland Speedway. A special treat for all is catching the Dormouse peaking out from the central teapot while the teacups are spinning. 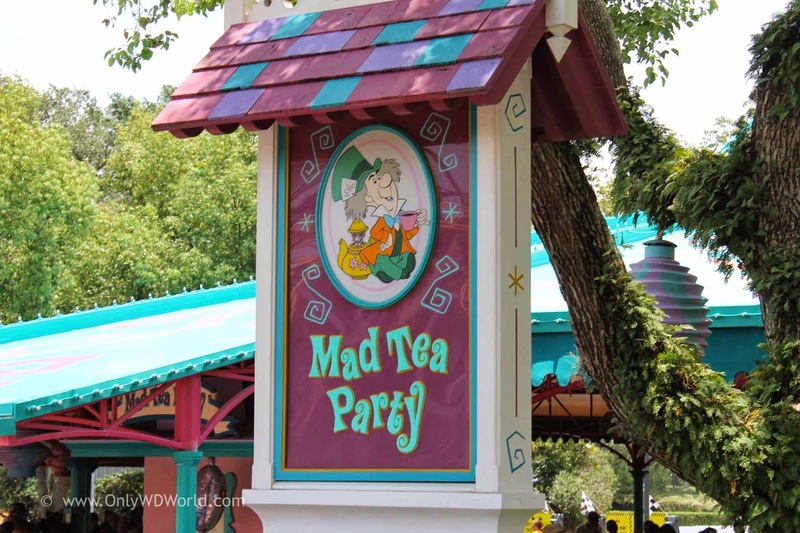 Did you know that the Mad Tea Party was an opening day attraction at both Disneyland (July 15, 1955) and Magic Kingdom at the Walt Disney World Resort (October 1, 1971). Sometimes it doesn't take millions of dollars and advanced technology to bring joy to a child. 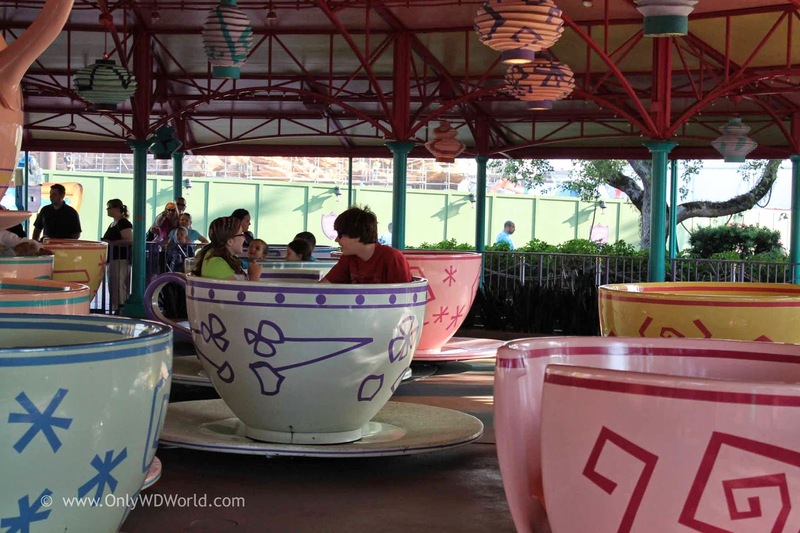 Joy can come in the form of a simple spinning giant teacup. 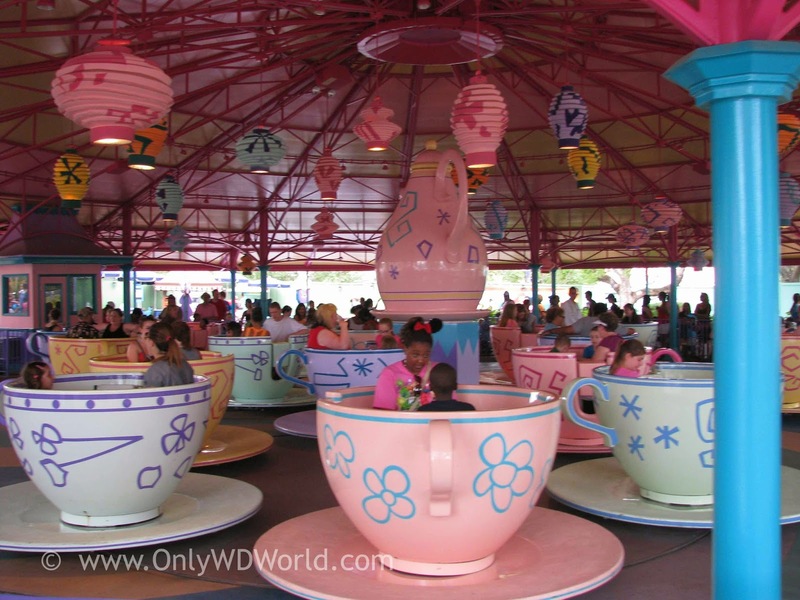 0 comments to "Mad Tea Party - Disney World Classic Attraction"